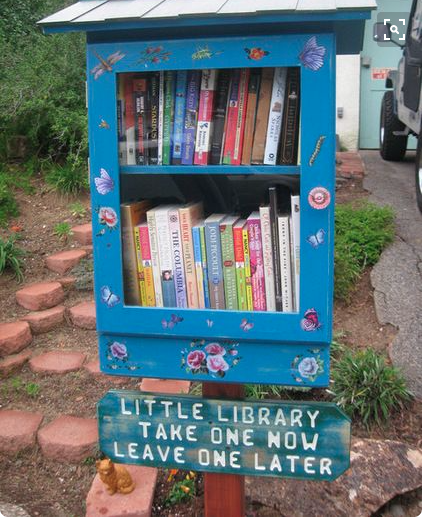 As per the norm, I was browsing Pinterest a while ago and stumbled upon this image of a 'Little Free Library.' At the time I didn't click through to find out more, I just pinned it because I thought it was a genius idea, and a great way to share the books you've loved. I have some odd attachment issues with books. We recently worked through Marie Kondo's (cult?) 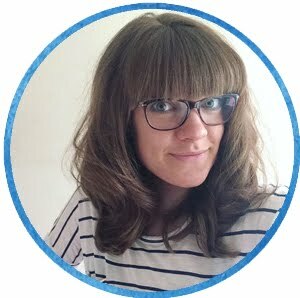 classic 'The Life Changing Magic of Tidying' but when it came to the part when we had to remove books from our lives if they didn't spark joy, we both stumbled. Books will always spark joy, even if I haven't yet read the words. It's the smell of them, the texture of the pages, the weight and the thickness, the binding, the illustrations, the promise of adventure and another world within....all of those things can spark joy before I've even read the synopsis. I recently picked up 'The Pier Falls' by Mark Haddon simply because I was drawn to the colours on the dust jacket and it looked like it would feel nice in my hands. 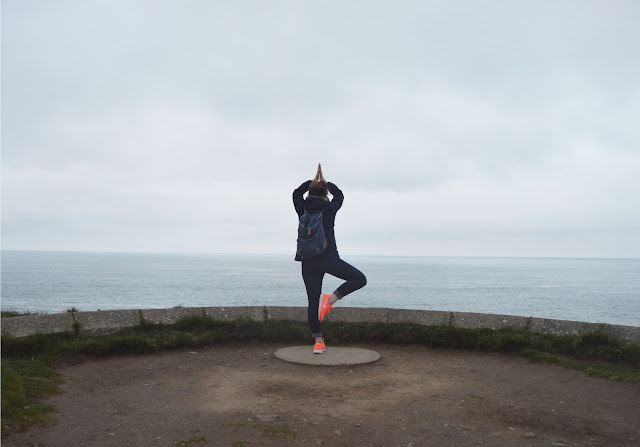 20 minutes later I was sitting on the floor in a crowded London bookshop watching the harrowing sight of a wooden seaside pier collapsing into the sea and causing the demise of hundreds of people. I'm yet to read anymore of the short stories contained within that book - for all I know they could be hopeless, but I could never part with it now because of those 20 minutes where I fell utterly in love. For the most part though, I'm not precious. If I lend a book to somebody, I like it to come back looking as though it's been read, with the corners turned down and the spine cracked open, maybe with a water marked corner where it's slipped into the bath or with biscuit crumbs trapped between the chapters. I like to know that it's been devoured and loved in just the same hungry way as I have loved it. Which is why, as much as I find it hard to part with them, I think the idea of sharing the books you've enjoyed with strangers from a 'Little Free Library' is fantastic. Not only do you get to pass the joy around (which is the exact ethos behind The Salted Tail) but imagine opening the library up to find someone had left their own dog-earred and damp friend for you to discover too. 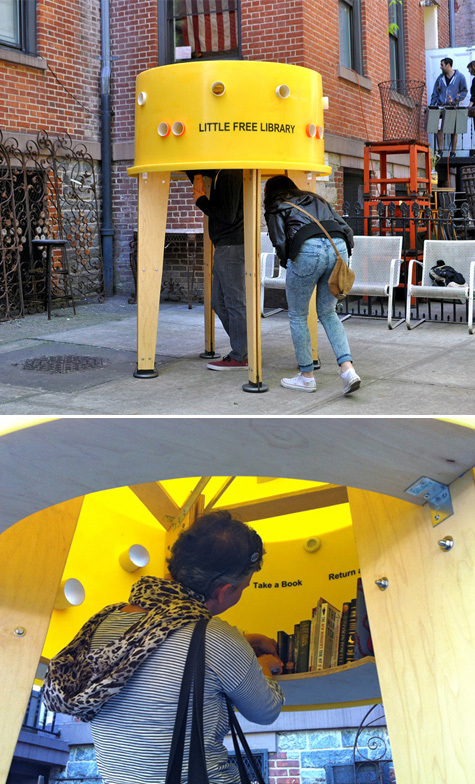 I went back the the image above, and clicked through to Apartment Therapy which in turn led me to Little Free Library. I had no idea how big it was! 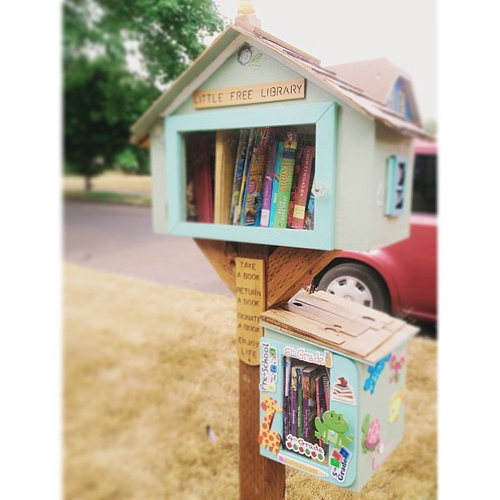 It turns out there are over 40,000 Little Free Libraries around the world! The website has plans to build your own, or of you are within the U.S you can buy a readymade little library and start you own literary adventure right outside your house/shop/community centre/church - anywhere really! Their aim is to promote reading in children, literacy in adults and as many libraries as possible around the world! This one built by Kelly Rae Robert's Dad has a childrens library annexe! Words can't quite describe how much I love that! This one I spotted at Design Vagabond and is cleverly designed to be waterproof, and totally immersive - and it's so playful! 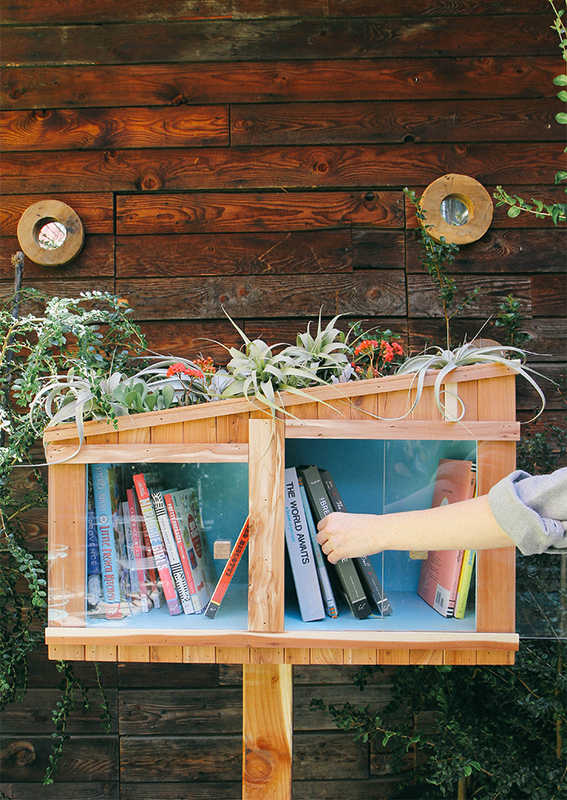 It has little peep holes all around the edge so you can peek in before you duck under and start searching for your next book. This one, designed for Chronicle Books is inspired by the architecture of The Sea Ranch, California and has a living roof. Air plants and books in one cleverly designed space - yes please! This one might be the best one of them all. 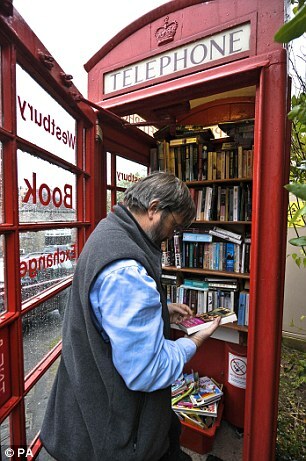 It's a little bigger than your average Little Free Library, but what a fantastic use for a disused telephone box! 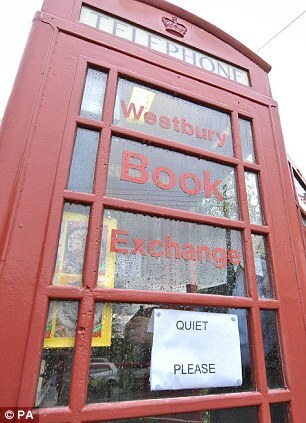 The parish council bought the telephone box for £1 and the villagers of Westbury-sub-Mendip in Somerset set about turning it into a library and stocking it with books! The quiet please sign really did make me smile! Don't you think it's just the best idea! Our little village in Norfolk is full of honesty boxes selling eggs, plants and vegetables, so I think a Little Free Library could work really well here! Could I be persuaded to donate any Harry Potter books to it though...we'd have to wait and see!